A major pair of exhibitions will shortly open in Germany, curated by Prof. Daniel Kruger to celebrate the 100th anniversary of Burg Giebichenstein Halle. The first presents works by young international jewellery artists from many parts of the world and shows the diverse trends in current author-jewellery. A parallel exhibition also showcases works by teachers, graduates and students of Kruger’s Jewellery Class at Burg Giebichenstein University of Art and Design. Exhibiting artists include some of the leading lights of the jewellery movement, including Funaki-represented artists Helen Britton, Simon Cottrell, Karl Fritsch, Kiko Gianocca, Sally Marsland, Marc Monzó, Lucy Sarneel, Lisa Walker and David Bielander. 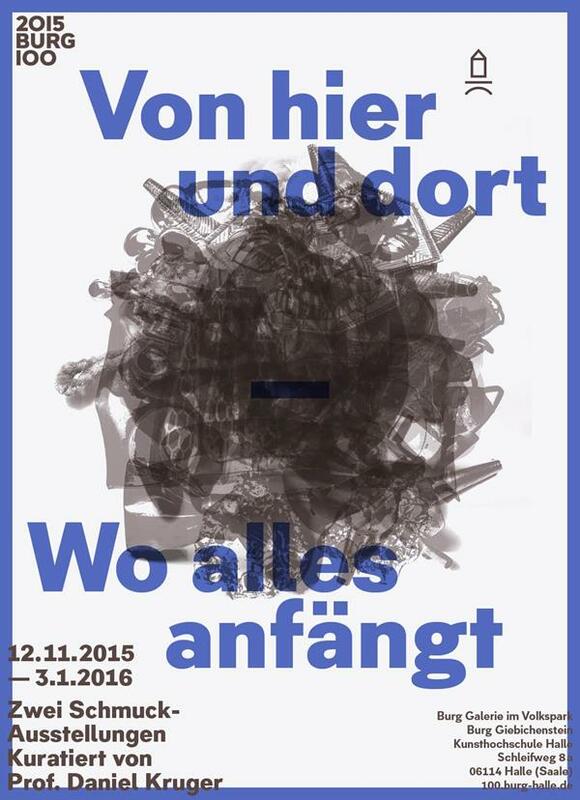 Opens 12 November and runs until 3 March 2016, at the Burg Galerie in Volkspark, Halle.